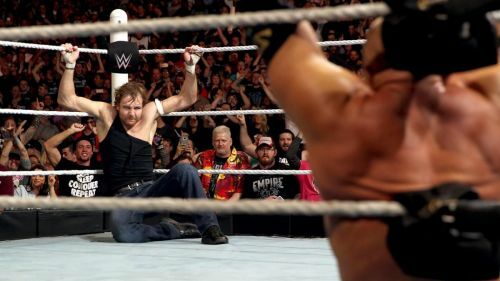 Is the Lunatic Fringe right in leaving WWE? One of the biggest news that has taken the world of professional wrestling by storm is Dean Ambrose leaving WWE after his contract expires in April. Vince McMahon's billion dollar company has apparently confirmed the news on their social media platforms which only suggests that the Lunatic Fringe is indeed moving towards a different direction. There's no denying that the former WWE Champion possesses all the credentials in the world that would have him a main event star in the company. However, the lack of creative freedom and his failed heel turn has coerced the 33-year old Superstar to think otherwise and pursue a life outside of the WWE. While the decision has been solely made by the Lunatic Fringe, there are many different things that led him to a different stratosphere of frustration within the squared circle. 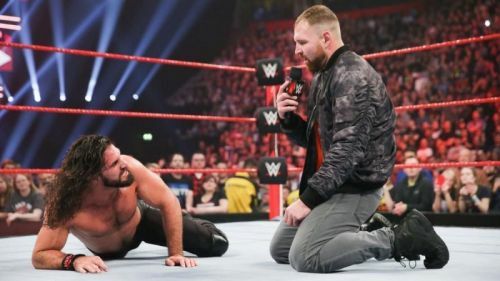 Despite the fact that Dean confronted Triple H and Seth Rollins this week and was on the verge of almost delivering a pipe bomb, the fans are still upset and would probably miss the Lunatic Fringe running riot on the red brand. So, without further ado, let's dive deep and analyze the 5 interesting facts that prove Dean Ambrose won't regret leaving the WWE. A genuine reason that coerced Ambrose's frustrations to run wild was his creative booking on Monday Night Raw in 2016. At a time when most of the biggest Superstars were sidelined with unfortunate injuries during the WrestleMania season, it was the Lunatic Fringe that stepped up to grab the brass ring. After delivering one of the most compelling matches in Royal Rumble history with Kevin Owens, the former WWE Champion went on to close the show with Triple H in the Men's Royal Rumble match. Considering that the fans had turned their backs on the Big Dog, the time was for someone like Ambrose to grab the spotlight and run riot against the Authority on Monday Night Raw. However, nothing of that sort happened. Vince McMahon booked Hunter to win the WWE Championship and while he did push Ambrose for a major match at the Show of Shows, he pushed Roman Reigns when the world wanted to see Ambrose. How The Dean Ambrose Contract Saga is Getting Interesting.